Civilization VI, the latest game in the popular 4X franchise from 2K and Firaxis, is getting a new expansion early next year. The Rise and Fall expansion, is a major add-on, which adds a ton of changes to the gameplay. The biggest change seems to be Loyalty. Each of your cities will have a Loyalty mechanice. When the loyalty is low, a city could be at the risk of rebellion, which in turn could make it a Free city. And that will attract other players who can capture it. On the other hand, Loyal cities will emanate "peer pressure" to nearby cities, and even sway other cities from other civilizations to join you. Rise and Fall will feature dynamic empires, which true to its title, will see Civilizations rise and fall through the course of the game. If you have played a Civizilation game before, you may be familiar with the Golden Age, which improves your Civilization by granting bonuses.Well, Rise and Fall will add Golden and Dark Ages. And both of these affect loyalty conversely. The next biggest change is Governor's rule. You can send a Governor to a city to ensure it grows in a specific direction (similar to districts), but Governors have powerful bonuses and can be moved between the cities you control.You can earn up to 7 Governors (earned as Governor Tiles), and each has a different skill tree of promotions and unique personalities. Some like in making an established city better by building Wonders, and trade routes. Some Governors are suited to rule new cities, and so on. The expansion improves Alliances (Research Agreements, etc) and now includes Research, Military, Economic, Cultural and Religious types, each with its own benefits. Alliances which continue will level up and unlock powerful bonuses. Emergency Situations are another new mechanic, which can be triggered when a player has a significant lead or advantage in an area. Let's say a player decides to convert another player's Holy City to a different religion, or uses a nuclear weapon, the game will determine which of the other players will join the emergency against the target. Players can join or pass, with joining giving them permanent benefits if the players can complete an emergency specific objective against the target in time, else the target will get a benefit. There will be 8 new civilizations and 9 new leaders, including female leaders. 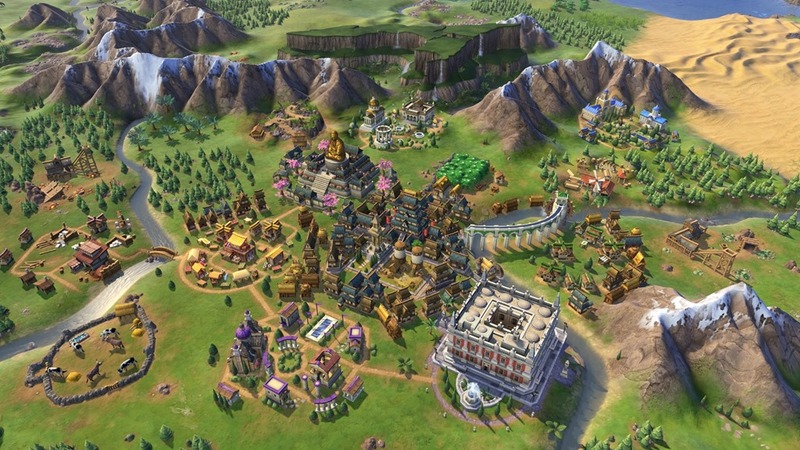 You can pre-purchase Civilization VI: Rise and Fall from Steam for Rs. 1,249 ($29.99). The expansion will be released on February 8th.